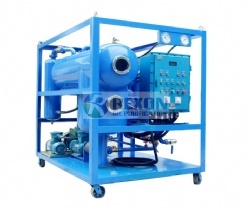 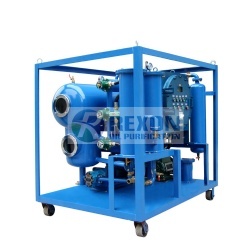 Rexon centrifugal oil filter equipment series RCF is especially for processing used Lubricating oil, engine oil, heavy diesel oil, and other industrial oil which contains large quantity of impurities and big particles contamination or huge moisture. 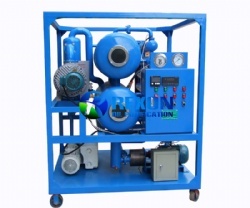 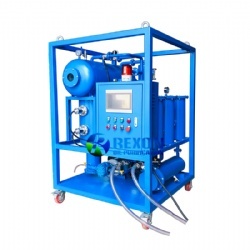 Rexon centrifugal oil filter equipment series RCF is especially for processing used Lubricating oil, engine oil,heavy diesel oil, and other industrial oil which contains large quantity of impurities and big particles contamination or huge moisture and used in some large mechanical equipment, power plant and ships. 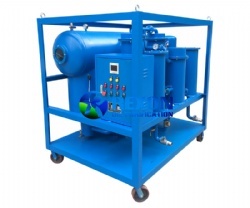 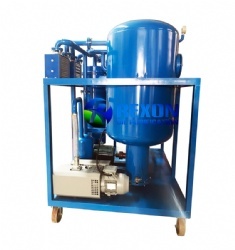 Besides centrifugal separator, our equipment takes multi-stage oil filter element to equip with, which can make high efficient oil dewatering, oil filtration and oil purification by centrifugal separation and multistage oil filtering together. 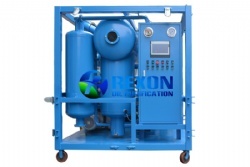 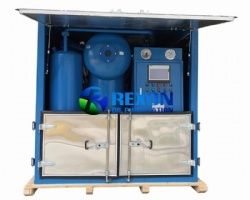 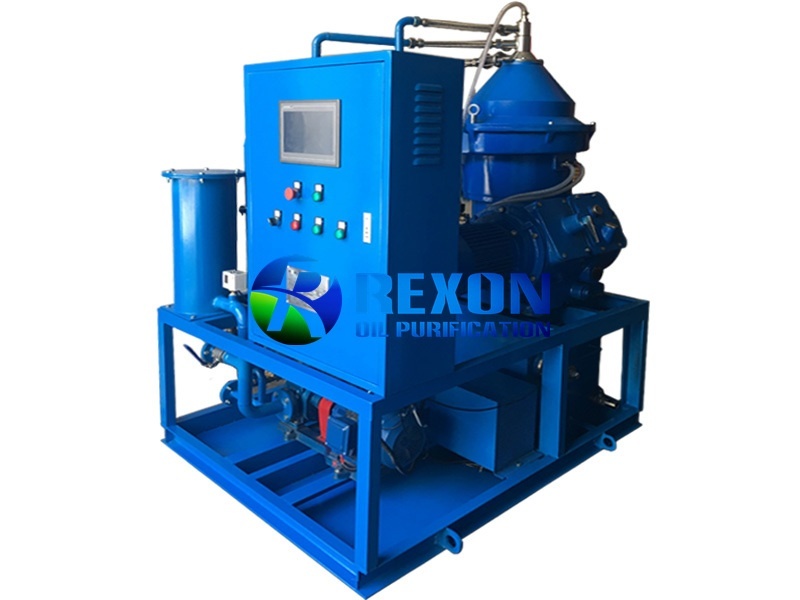 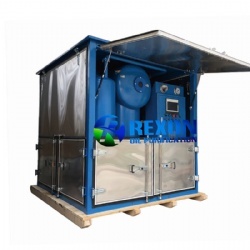 Rexon centrifugal oil filter equipment can deal with high content impurity in such oil,and the equipment takes automatic slagging system to discharge the large sludge and impurities online and high efficient. 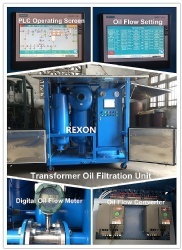 Rexon centrifugal oil filter unit using PLC automatic intelligent controller, just press the "automatic" run button to start the equipment,it will be fully automatic operation, to minimize manual operation error. 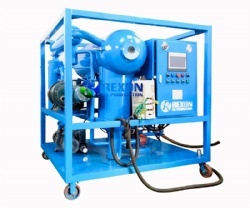 In order to reduce the heating load of the plant,Rexon centrifugal oil filter unit uses heat recovery device for bigger models which processing capacity are bigger than50Liters/Hour. 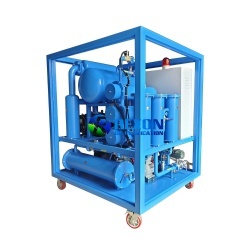 The oil pump will pump out the hot oil and import cold oil for energy exchange,and heating efficiency will be increased by 50% or more. 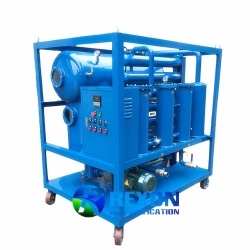 Note: If the user has very high requirement on oil’s moisture content and need to remove dissolved water completely, we recommend to use our another vacuum oil dehydration machine series TYA to make a deep oil dehydration and oil filtration after the treatment by series RCF equipment. 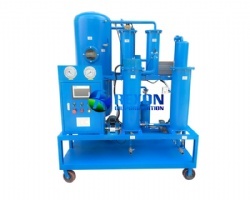 TYA can quickly remove water from the oil high efficiently and eventually reduce the total water content to 15-30 PPM or less.